A new year is upon us and that means there will be a new top-end chipset that will be released in a vast majority of top-end Android phones. The big topic is the inevitable 5G theme. But that's not all we learned about the Qualcomm Snapdragon 855. We expect this chip in mobile phones from Samsung Galaxy S10 to OnePlus 7 as well as Google Pixel 4 and more. However, not all of these features are guaranteed for every flagship in 2019. Each manufacturer can opt for certain features of the chipset, but this new technology from Qualcomm gives manufacturers the ability to include these features in their device. Below is a selection of the best features you may receive on your phone. If you want to get a complete overview of all the new features of the new chipset and phones, here's what you need to know about the Snapdragon 855. One note: it starts first, depending on where you live and which network operator or network you are on, but eventually 5G is on the move with the Snapdragon 855. We know that OnePlus will have the first 5G phone in Europe and Samsung has confirmed that the company plans to release a 5G phone next year. 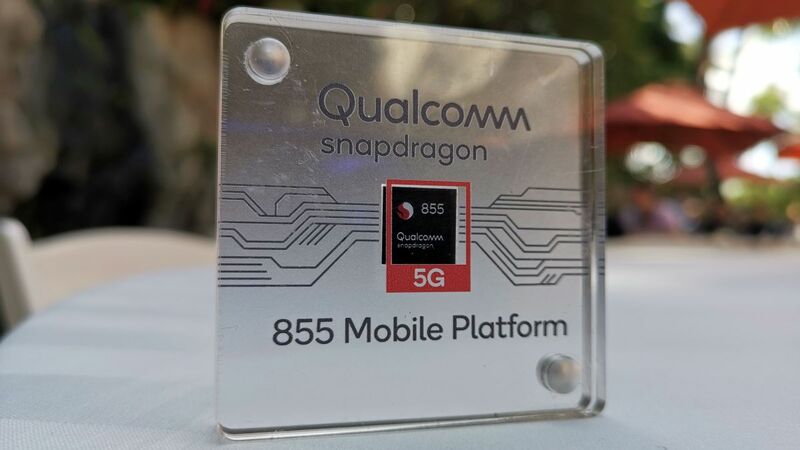 Any device that contains the Qualcomm Snapdragon 855 can use 5G, but not every phone can turn it on. What exactly is 5G? In essence, expect a much faster Internet with a jump greater than the speed boost you've switched from 3G to 4G. It's going to be a slow process for networks and carriers around the world to introduce 5G, but it's a step towards a super-fast mobile Internet on your phone. Do you own a phone with an in-screen fingerprint scanner? If your fingers are wet or slightly oily, the scanner may not work. This is something that Qualcomm wants to fix with its next-generation scanner. Qualcomm's new 3D ultrasonic fingerprint scanner technology is said to be more accurate and will be able to scan your finger through water and a variety of liquids. It will hopefully stop the frustrating moment when you try to unlock your phone in the rain, but the scanner does not work. In general, it also speeds up the speed at which you can unlock your device. A new energy-saving mode in the Snapdragon 855 should allow you to more efficiently consume video when watching videos. A feature that the company calls Cinema Experience uses less power, which means that playing videos puts much less pressure on your battery. Hopefully, this should lead to more time looking at Netflix or YouTube, but how manufacturers implement these changes will determine whether we will see any real benefits to using.
. With the new chip, two different wake phones can be supported words also for voice assistants. This means that the manufacturer of your phone may support two different language assistants simultaneously. This is something that some devices have enabled in the past, but it was much more cumbersome to work because you essentially had to download apps separately and set them up yourself. 1; which means it's unlikely to work with Samsung's Bixby language assistants when included in new Samsung devices. Last, but not least, is a big improvement on the camera. The bokeh or portrait mode of your phone is a popular effect that blurs the background of a picture. Almost every flagship has it, but in 2019 it will be much better. A new upgrade of the Snapdragon 855 comes with a computer ISP. This uses artificial intelligence to enable a bokeh mode in 4K HDR video. This blurs the background of your image in real time, allowing you to focus on the foreground of your video and your photos. We saw the movie being shown on the stage of the Snapdragon Summit and it seemed to work very well. If it works the same way as taking bokeh images in real-life scenarios, it remains to be seen, but it's an innovative new way of filming a video that can produce some incredible effects on your phone.